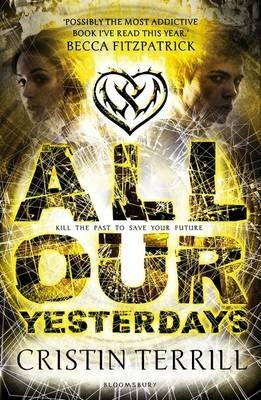 A brilliantly brain-warping thriller and a love story that leaps back and forth in time - All Our Yesterdays is an amazing first novel, perfect for fans of The Hunger Games. Em is locked in a bare, cold cell with no comforts. Finn is in the cell next door. The Doctor is keeping them there until they tell him what he wants to know. Trouble is, what he wants to know hasn't happened yet. Em and Finn have a shared past, but no future unless they can find a way out. The present is torture - being kept apart, overhearing each other's anguish as the Doctor relentlessly seeks answers. There's no way back from here, to what they used to be, the world they used to know. Then Em finds a note in her cell which changes everything. It's from her future self and contains some simple but very clear instructions. Em must travel back in time to avert a tragedy that's about to unfold. Worse, she has to pursue and kill the boy she loves to change the future . . .